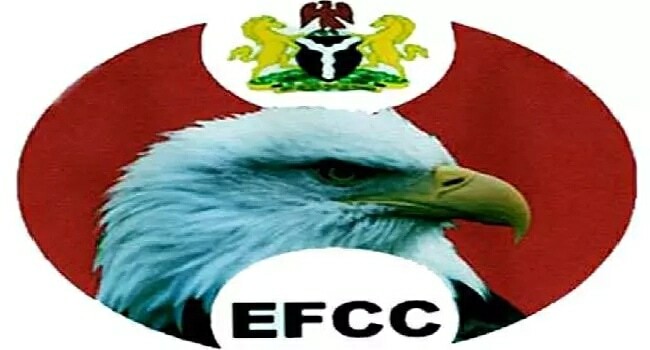 Economic and Financial Crimes Commission (EFCC) detectives have quizzed a former Executive Secretary of the Universal Basic Education Commission (UBEC), Mallam Suleiman Dikko, for alleged N20billion fraud. Also grilled were contractors and top directors of UBEC, including those in charge of Finance and Procurement. Dikko’s and some contractors’ passports have been impounded “to ensure unhindered investigation”. The probe, said a source, who pleaded not to be named, is to unravel how funds meant for primary education and Unity Schools were either diverted or converted to private use. The Principals of the “beneficiary schools” denied receiving the books and equipment listed against their schools, it was learnt. “They claimed that they only received between 20 to 30 per cent of the equipment and books purportedly delivered to their schools, whereas the contractors were paid in full,” the source said. Some former executive secretaries and directors of the commission have been quizzed. There are indications that the N20billion contract scam is part of the cases for which the anti-graft commission is investigating Dikko. Another source said: “The ongoing probe of UBEC has many dimensions. We have also discovered many contracts duly paid for but abandoned between 2012 and 2014. Some fake contracts were awarded in order to acquire slush funds for purposes known only to the former UBEC Secretary and the accomplice directors. “There were also reckless awards of contracts under the guise of constituency projects between 2012 and 2014. “For instance, many unexecuted constituency projects were awarded by UBEC to some companies owned by some members of the National Assembly. The projects in UBEC are: One block of three classrooms at Eru Primary School, Igbide (N9,180,835.45); one block of three classrooms at Ivori Primary School, Isoko (N9,887,778); construction of three classrooms at Egburie Primary School, Ozoro; and construction of six classrooms on January 21, 2016 at Olordo Primary School, Ozoro (N9, 300,000). The others are: supply of customised library equipment to selected schools in Isoko North Local Government Area at N16,050,000; Supply of instructional materials in Isoko North /South Federal Constituency(N14, 650,000); supply of customised equipment to selected schools in Isoko Federal Constituency(N15, 950,000); rehabilitation of six classrooms at Egware Primary School, Ozoro (N9,200,928,90); and construction of six classrooms and toilets as well as supply of furniture at Itebighe Primary School (N12, 988.099.23).